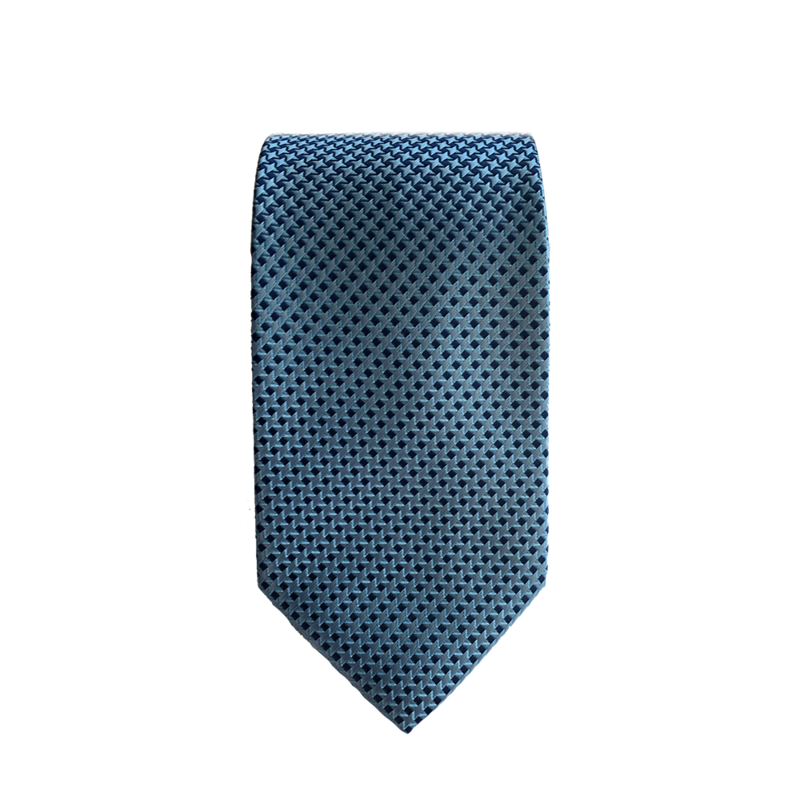 A light blue necktie with a houndstooth design. The peculiar design is named "houndstooth" because it looks like dog teeth. It's a tough design indeed and belongs in your tie collection.